All major credit and debit cards are accepted, including: Visa, MasterCard and American Express. Payments are also accepted through PayPal. To open a PayPal account click here. Please review your order carefully for Design choice, Size choice and Quantity choice before submitting payment. As such, custom printed orders are non-refundable & cannot be exchanged...this means products sold on www.artfitted.com are non-refundable & cannot be exchanged. In the event you have an issue after receiving your order, we must be contacted within 10 days of the ship date for Canadian and US orders or within 15 days for International orders or we may not be able to resolve the issue. When contacting us with an issue, please be sure to include a detailed explanation regarding your concerns, and be able to provide photos should it be requested. Artfitted Inc. items are shipped from both Canada and the USA. This means for most wholesale orders shipped in Canada and the US, will not encounter duties or customs fees. As long as your order is below $800, there will never be any surprises with customs fees. Orders over $800 are shipped with DHL. These orders may encounter additional import or duty fees when crossing the border which are the responsibility of the customer. Orders to US customers generally take 2 - 6 business days once shipped in the USA. US ship outs occur 3 times per week: Tuesdays, Thursdays, Saturdays. US orders ship with USPS first class mail or priority (depending on package size) with tracking. Canadian orders ship with Canada Post Expedited with tracking. Small packages like phone cases ship with a stamp. Orders for Canadian customers normally take 2 - 8 business days to arrive. 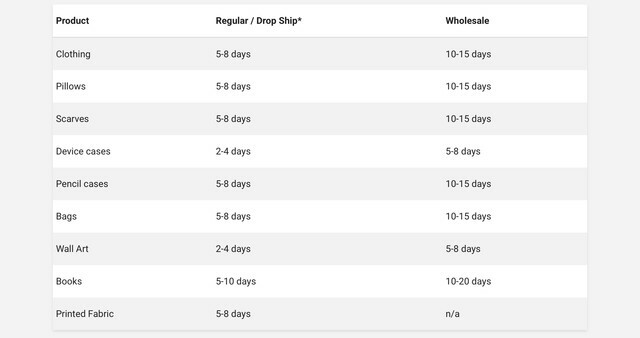 Shipping in Eastern Provinces takes about 3 - 4 business days and shipping to Western Provinces can take 4 - 7 business days. Shipping to Ontario is 1 - 2 business days. Remote locations can take up to 15 - 20 days. International/Wholesale orders ship with USPS, and may or may not encounter additional fees when crossing borders. Artfitted Inc. does not cover customs or duty fees; additional fees are the responsibility of the customer. Orders under $100 will not have tracking; orders above $100 will have tracking. International orders generally take 10 - 21 business days, but may be delayed by the customs of your country. (Some countries hold packages at the local post office until inquired for) Please be up-to-date on your country's import rules. Shipping costs are determined by the shipping address and also the number of items being ordered. Please note: the cost of shipping is subject to change without notice. Once your order has been shipped, it is in the care of the courier or postal service. If your shipment is experiencing difficulties, please try to contact the postal service first. If you need further assistance, please contact Artfitted at info@artfitted.com, and we will try to resolve the issue. For lost shipments, the production company is usually required to open a case with the postal system first before proceeding with reprinting any items. This can take up to 14 business days. Artfitted Inc. is not liable for any errors made by shipping and courier services. We will work with our customers on an individual basis for shipping related issues. Once you have received your Artfitted shipment, please open it with care. Artfitted Inc. cannot be responsible for any items damaged during the opening of your parcel. All listed prices are in Canadian dollars (CAD). Please note: prices on www.artfitted.com are subject to change without notice. Artfitted Inc. collects information from you when you place an order. When ordering, we may ask for your name, email address, mailing address, phone number, credit card information or other information. 1. To personalize your site experience and to allow us to provide the type of content and product offerings in which you are most interested. 4. To administer a contest, promotion, survey or there site feature. Third party links are annoying. Artfitted Inc. doesn't use them. Artfitted Inc. does not sell, trade or otherwise transfer to outside parties your personally identifiable information. The term "outside parties" does not include Artfitted Inc., the production company who makes Artfitted products and website hosting partners. Artfitted Inc. is continuously evolving, and our Privacy Notice, Terms and Conditions will change at any given time. We may elect to change or amend our policy without notice; be sure to check our policies for the most up-to-date information.